Get ready for Hillary Clinton 4.0. More than 30 years in the making, this new version of Mrs. Clinton, when she runs for president in 2020, will come full circleback to the universal-health-care-promoting progressive firebrand of 1994. True to her name, Mrs. Clinton will fight this out until the last dog dies. She wont let a little thing like two stunning defeats stand in the way of her claim to the White House. Its been quite a journey. In July 1999, Mrs. Clinton began her independent political career on retiring Sen. Daniel Patrick Moynihans farm in upstate New York. Her Senate platform included support for a balanced budget, the death penalty and incremental health-care reform. It was a decisive break from her early-1990s self. Hillary Clinton 2.0 was a moderate, building on the success of her communitarian It Takes a Village appeals and pledging to bring home the bacon for New York. She emphasized her religious background, voiced strong support for Israel, voted for the Iraq war, and took a hard line against Iran. This was arguably the most successful version of Hillary Clinton. She captured the hearts and minds of New Yorks voters and soared to an easy re-election in 2006, leaving Bill and all his controversies behind. We'll be waitin' for her! But she’ll be almost 80 before she would get the opportunity again. Run? 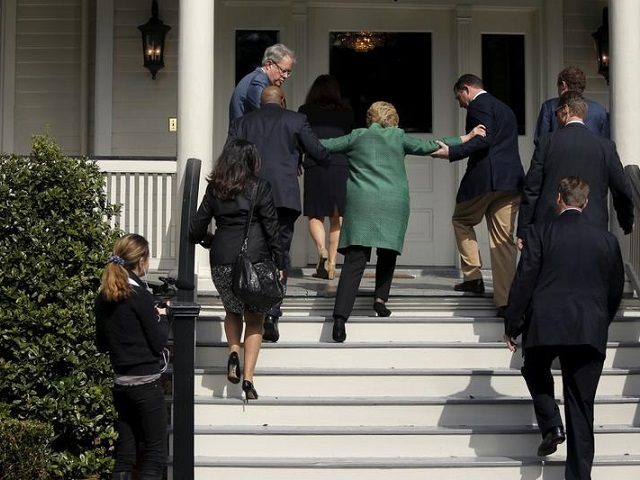 The old hag could barely walk. Harold Stassen is unavailable for comment. Complete BS, she could never get the nomination. The party heads would not allow it. Doesnt she know that her party is done with white people? 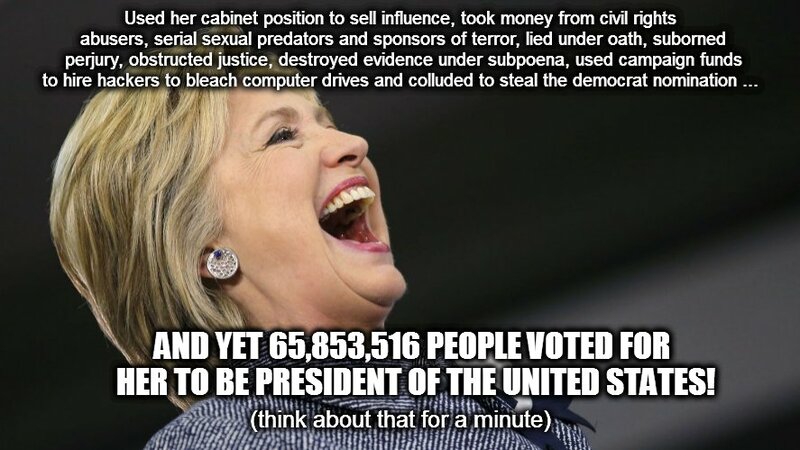 Then again, with Sessions gone perhaps she is running to stay out of jail. Frankly, WGAS? She can run again and again she will be beaten like a rented mule. Today I’m more concerned about the theft going on in Georgia and Florida. Bring her on & lock her up! No surprise here. Probably more if a crawl than a run. Hobble is all she can manage. She hasn’t been capable of running in years. She was barely able to campaign last time. Democrats will reject her faster than they would a manifest leper. emocrats will reject her faster than they would a manifest leper. As we are now learning, it doesn't matter what the voters think. Run, hell; she can’t even walk. She barely survived the first time. 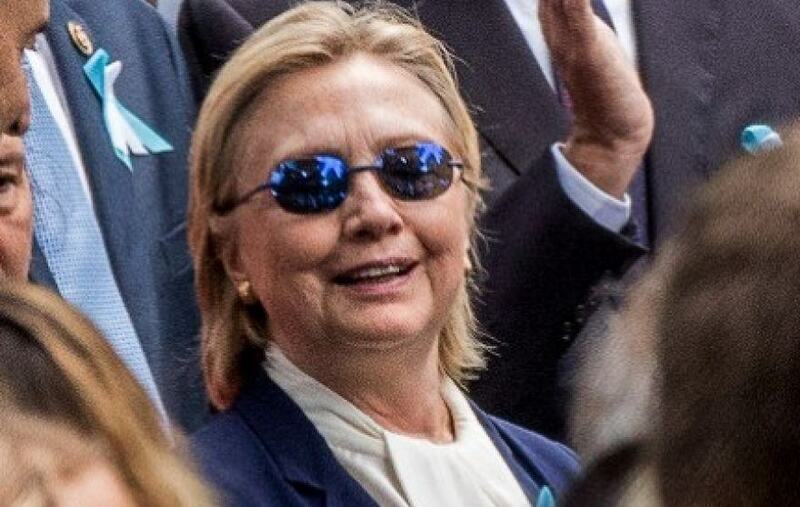 I find it hard to believe she is capable of running again. She couldn’t keep up the required pace in 2016 and whatever her problem is, it won’t be better by 2020. On the better side, her candidacy will force others to spend much more money. Also, the backstabbing will be awesome to witness. Popcorn sales will go through the roof!